If you are entry level, seeking improvement in one or more of your disciplines or simply want a change, please give Trench Health and fitness the opportunity to make the difference. Give us a call or come down for a complimentary training session. Note: Group training session caters for swimmers of all abilities. You will be required to bring the following to training: Goggles, Swim fins, Paddles. Also, the entry fee to Bold Park is now $6.50 per visit (Bold Park Aquatic Centre offers 10 and 20 visit multi passes). Trench provide Squad swimmers: Pull Buoys, Kick boards, Stretch Cordz. 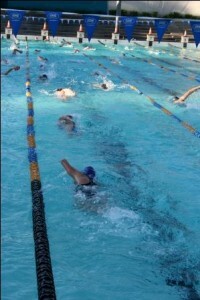 Trench Health and Fitness have been involved in the swim coaching business since 1991. It started with a small group of novice triathletes coached by Peter Trench and has evolved to include those striving for improved performances in both age group and open competition in the pool and open water. Peter Trench has been competing at elite level since 1987, representing Australia on three occasions. Peter has taken part in the Toohey’s Blue series and raced over all distances in events in Australia and overseas. Peter has been coaching novice, age group and elite triathletes since 1991. He coaches all disciplines of triathlon, prescribes weight training programs and provides individual coaching and guidance for athletes. In addition, his team of health specialists ensure his athletes receive the advice and information to perform to their best. Daniel Rodgers has 10 years coaching experience and a lifetime in swimming personally. Coached swimmers from junior to national/ high-performance programs across various clubs. A feature of Daniels coaching experience was coaching at UWA uniswim’s high-performance program. Assisting gold license coach Mel Tantrum, Daniel acquired the skills to maintain and develop high-performance athletes technically and physiologically. Our coaching sessions are based at The Trench Health and Fitness Gymnasium and the Bold Park Aquatic Centre. Both venues have excellent facilities with change rooms and hot showers. Strength and Conditioning Training, Sports Dietitian, and prehabilitation and rehabilitation services are available within the Trench Health and Fitness Centre in Shenton Park. 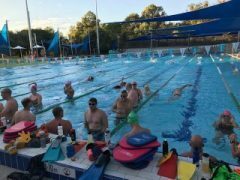 With Bold Park Aquatic Centre situated close by and km’s of bush tracks nearby for running, it makes an ideal area from which to base your training. Trench Health and Fitness coaches are Triathlon accredited and carry Professional Indemnity and Public Liability insurance.